No stash note today as there have been very few stash additions over the past weeks but instead I thought I share with you what I am knitting at the moment. This wool is lace weight from scrumptious lace and is 45 % silk and 55 % merino which as you might guess makes it unbelievably soft. The colour is gold and it really shimmers like real gold, so warm and luxurious. I am knitting the wedding shawl from purl bee which you can find here (and no I am not getting married...) I and am using a 3 1/2 knitting needle and I knit with the yarn doubled. I bought the yarn last year when I was in Edinburgh at the Fringe in this lovely shop here. 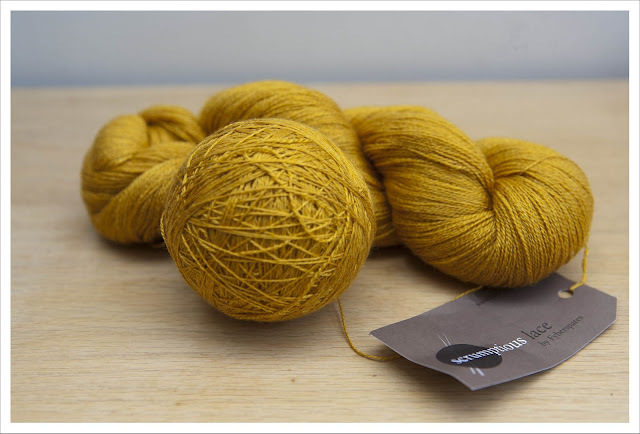 I love the mustard yellow, happy knitting! This is beautiful! I wish I could knit! I tried to learn this winter and could not even knit a hot pad without messing it up. I'm a crocheter. Love it ! Your knitting is so beautiful and even! Look at the silky glow on that wool! 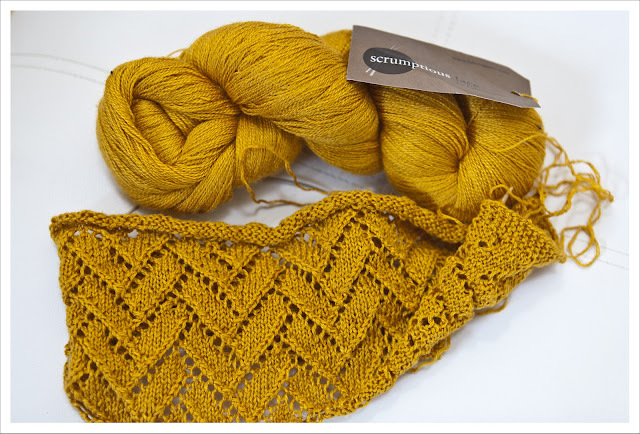 I am such a sucker for gold and yellow yarn, this is lovely. I knit a lot too, although less since I started quilting.